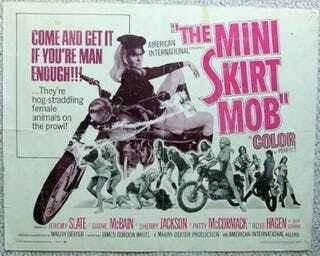 Are You Man Enough For The Mini Skirt Mob? Classic camp and voluptuous vixens - all on bikes! Check out the hippie dippy trailer.